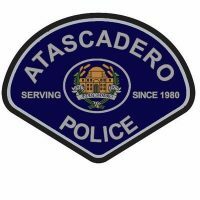 A drug bust at an Atascadero home on Monday netted seven arrests, according to the city’s police department. At 7 a.m., Atascadero police, with assistance from the San Luis Obispo County Sheriff’s K-9 team, served a narcotics related search warrant at a property in the 5000 block of Olmeda Avenue. Officers contacted nine people at the location, seven of whom they arrested. Harmony Duncan, 36, who was charged with maintaining a place for using drugs, possession of a controlled substance and possession of drug paraphernalia. Erin Morgan, 33, who was charged with being under the influence of a controlled substance and having a warrant. Amanda Jimenez, 22, who was charged with false impersonation of another. Christopher Heinlein, 21, who was charged with false impersonation of another and having a warrant. Alejandro Gutierrez, 24, who was charged with possession of a controlled substance and possession of drug paraphernalia. Ricki Thompson, 19, who was charged with being under the influence of a controlled substance, possession of drug paraphernalia and a probation violation. Abigail Scheiderer, 25, who was charged with resisting or delaying a police officer and having a warrant. Officers booked all seven of the suspects into the San Luis Obispo County Jail.